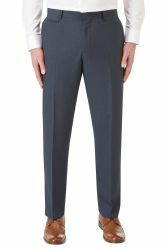 Madrid Tailored 2 or 3 Piece Suit, with a lower rise for the younger man. Well made and nice, but way over sized. Jacket arm length was huge too. Perfect sizing, excellent quality and fast delivery. Have used several times before and will again. Very nice suit, comfortable jacket. Modern stitch detailing which not everyone may appreciate. I could not have got a better fit had it been made to measure. Excellent quality for a cheap price. 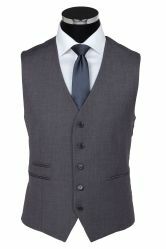 second time i have purchased from Suitmen, high street suits at half the price delivered next day....perfect. The suit was very good quality and the size was just right apart from arm length which can't be helped. Jacket was well made, and a good fit. great price, quality and easy exchange and returns!!! 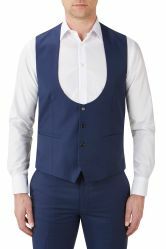 what a great service, I was worried as I'd been shopping around the week before and I couldn't get what I needed in my size, I thought I was taking a bit of a gamble, but the suit is great, I needed it for my college awards evening and the quality is superb, along with the service from you guys, thanks very much for a brilliant service. Very pleased with the style. Perfect - Quick and easy to get hold of someone who was extremely helpful. The pockets on the outside are working pockets they just need to have the lightly stitched pocket undone. Madrid suit, 3 piece. Very good price. Very nice suit. Well packaged items. Excellent garments.Vey prompt delivery. Good quality. Shame it didn't fit. nice suit, and ultra quick delivery. i have bookmarked your site and will use you again. thankyou very much. 54s was not available, Although every effort was made by Debbie Kennedy to find an alternative, to no avail, I finally settled for 54r with some seamstress adjustment on sleeves. .
Return procedure too complicated. Too many forms with poor descriptions. Yes go green but use one address. I'm sorry you found sending something back complicated. Product very good, fits perfect, material excellent, colour just right. Lovely item. Service does exactly what it says it will do. Very good. Fantastic service, would highly recommend. Very fast and efficient service. Quality of suit okay for what payed.